The old adage that a picture is worth a thousand words has ever-greater resonance as time goes on. And when visuals come up against text – it’s really no contest at all. “Processing print isn’t something the human brain was built for. The printed word is a human artifact. It’s very convenient and it’s worked very well for us for 5,000 years, but it’s an invention of human beings. So it’s fundamental that photos, other pictorial graphics and videos are effective with audiences across the board – not just with certain demographics. This universality makes the visual world so much more universal than the world as seen through an “education level” or a “language” prism. 3M Company has done research to attempt to measure this impact quantitatively. 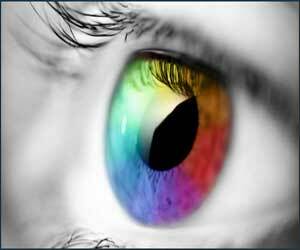 It has found that ~90% of all information transmitted to the brain is visual. And now, the growth of digital communications has provided all sorts of ways to gauge the effectiveness of those visual communications. Visual content is processed 60,000 times faster than text. Humans retain only about 20% of what they read … just ~10% of what they hear … but ~80% of what they see. ~80% of the text on most pages of content doesn’t get read. Twitter tweets containing images generate ~20 more clickthroughs … ~90% more “favorites” … and ~150% more re-tweets. Social media posts including video clips do dramatically better – outstripping text-only posts by a factor of ten times. The implications for advertisers couldn’t be clearer. The explosion in digital content only makes it that much more important to catch the audience’s attention, because typically advertisers have only seconds to do so. And that attention-getting content is going to be visual.